School’s here! I know my little one isn’t quite ready just yet, but she does love drawing and coloring. I don’t think a day passes that she doesn’t (she must take after her Mama). I have a trip coming up to visit my parents back home in Maryland and I have a long(ish) plane flight with a toddler to prepare for. I need to keep her busy on the plane. I was about to throw away my Crystal Light container when I realized it’s the perfect size for pencils, markers, crayons, and such. 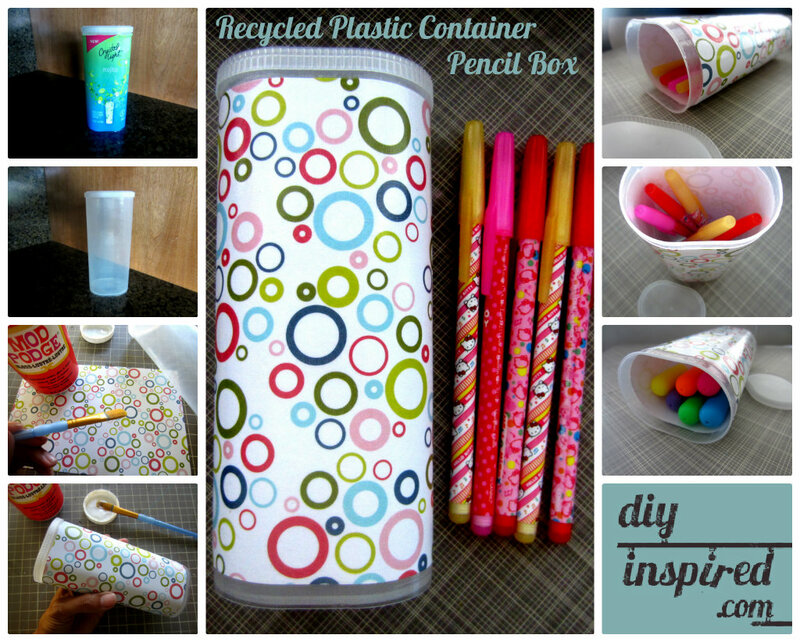 I decided to alter it a bit and make this recycled plastic container pencil box for our trip. and allow it to dry (approximately 15 minutes). I thought one coat sufficed however you can apply another if you wish. Consider embellishing it with stickers or plastic gems. This container can hold anything! I actually may use it for my daughter’s toothbrush and toothpaste for when we travel. You can use it to hold hair accessories or even use it for craft supplies. This is the perfect project to do with your kids. 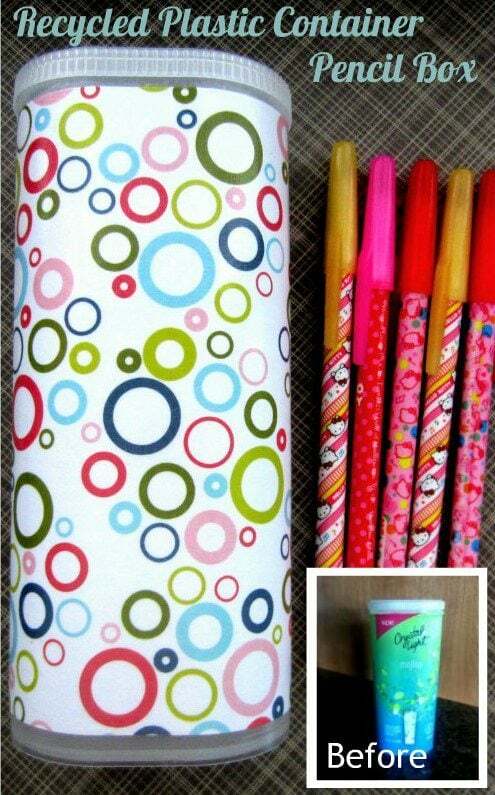 Now they will have a one of a kind pencil box to bring to school and show their friends. I drink this all the time! Why didn’t I think of this!? LOL! I know… so easy! I’ve been drinking it for years. Wow! This looks great, what a cool idea!